This decision comes as economists are split between the need for “shovel-ready” infrastructure spending and longer-term investments. Alongside this debate are calls for stimulus targeted to oil-producing provinces, especially Alberta. That debate misses the fact that the most shovel-ready and targeted fiscal stimulus is employment insurance. 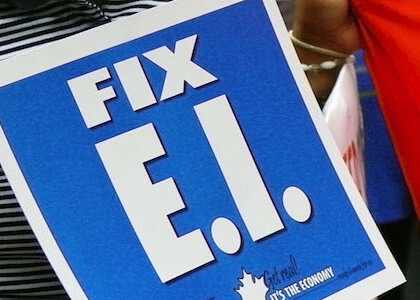 Meaningful infrastructure spending can take months or years to get off the ground, but unemployed workers get (and spend) EI benefits within weeks. Money flows directly to hard-hit communities exactly when they need it. This is why the optimal policy mix for our current economic situation includes temporary EI measures and faster implementation of some EI election promises. The temporary measures will act as stimulus, and the implementation of the election promises will make sure that access to benefits is fairer for unemployed workers.